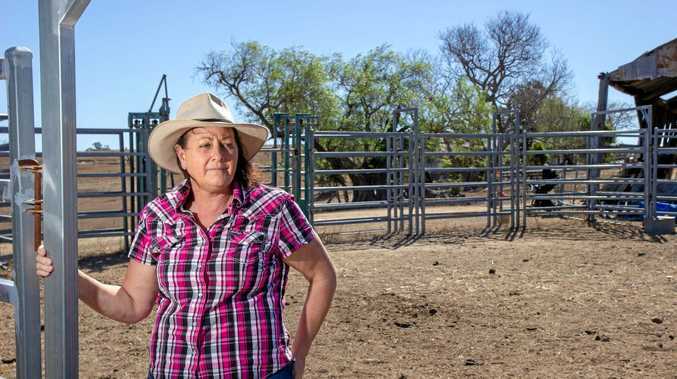 WHEN the bore along with the dams on Kim Francis' Belnheim property dried, she was left with no choice but to sell her entire herd. 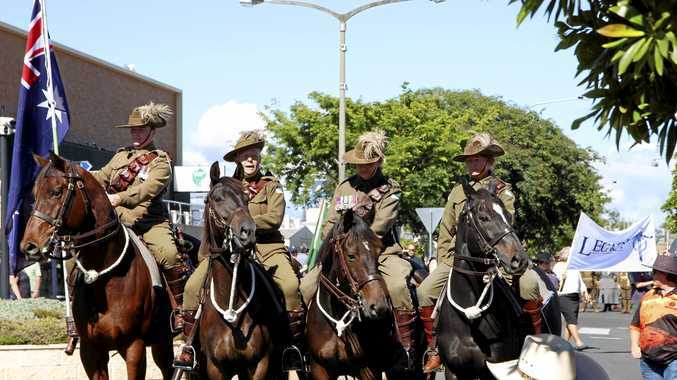 "We've sold all the cattle and we've just got four horses to sell," Ms Francis said. I had no choice - the cattle were coming up to the house calling for water. Her family farm had always run cattle, and once had more than 70 head of pure-bred droughtmasters. Mrs Francis is not alone, with a number of producers in the region making the heartbreaking decision to to sell their cattle. At a recent sale at Laidley, Stariha Auction's David Stariha said a lack of water and skyrocketing feed prices were starting to take effect. "The bottom line is it's a drought - they've got no choice, they have to sell," he said. "At Laidley, in the last two sales we've had five people that have sold their whole herds, because they have absolutely no water at all." He said what made situations like Ms Francis' worse was when the rains return, restocking would prove extremely costly. "When it rains, everyone is going to be in the same boat - there's going to be no cattle about," he said. Rain will change everything - it is going to rain, but the question is when. The ongoing drought is hitting cattle producers hard, and many are finding it difficult to even sell their cattle. Mr Stariha said the market had recorded an influx of cattle in recent months as producers desperately tried to de-stock their herds. "Everywhere is full. There's record numbers of cattle on feed, and feedlots that have been operating with us for the last twenty years haven't bought cattle and have pulled out of the market for the first time in the 12 years I've been doing it," he said. "They've got that many numbers, they just can't handle any more cattle." This is backed up by Meat and Livestock Australia statistics showing record numbers of cattle on feed, at 1.12 million head in June. While much of the market had eased in recent months, Mecardo Market Analyst Matthew Dalgleish said heavy steer prices had held up reasonably well in Queensland. "(They've) been holding good value until about (early August) due to a relatively tight supply of decent finished cattle," Mr Dalgleish said. "Indeed, during July prices were averaging higher levels than in 2017, over 500 cents/kg carcass weight." Mr Stariha said while this was the case, the influx of cattle made finding buyers difficult. "The heavy feed steer market is still okay - when they're buying - but at the moment, some of the operators are out for two weeks because they're full," he said. "So the money for that isn't too bad, same with your meatworks for export cattle - it's not too bad - what is very hard is little cattle. "Young plainer cattle are very hard to sell, because a lot of those cattle are the cattle that go back into paddocks and go back to restockers and people to feed them on - no one's buying those cattle at the moment because of the drought."